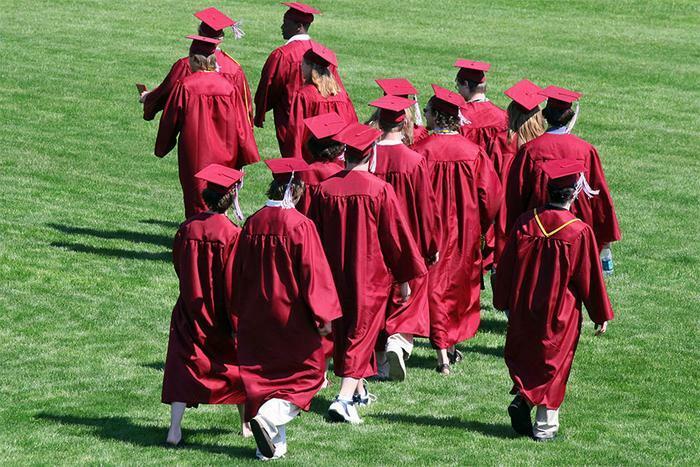 College enrollment appears to be inching down, according to a recent report by the National Student Clearinghouse Research Center. The Center found that Spring 2017 enrollment fell 1.5 percent from Spring 2016. The greatest declines were at for-profit institutions, which have faced increasing regulatory scrutiny. But enrollment also dropped sharply at public community colleges. There could be a number of reasons for this. In its coverage of the issue, higher education website The Hechinger Report noted a decline in the population of students leaving high school, as well as an increase in the number of would-be graduate students who are opting to join the workforce as the economy slowly recovers. However, a new survey by COUNTRY Financial suggests another reason: cost. The survey of college-age consumers asked those who had never attended college their reasons for not attending. Nearly half -- 48 percent -- said the high cost of college was a factor in their decision. Nearly as many -- 47 percent -- said they were unwilling to go into student loan debt to pursue a college degree. "Student loans have had an impact on the ability of Americans to complete their education," the authors write. "Of those who started but did not complete a post-secondary program, 59 percent said the cost of education factored into their inability to finish their education, and 53 percent said that taking on student debt was also a factor in their incomplete education." At the same time, the survey suggests there is still a strong respect among young people for the value of a college degree. A large majority agree that "post-secondary education is critical to success." Some who borrowed money to attend college now appear to have a case of buyer's remorse. Thirty-six percent of those who have taken on student debt to get through school reported they are not confident they'll repay the loans entirely. Among those still working to pay back their student loans, 48 percent said they have missed at least one payment. “Our survey found the majority of Americans who have missed a student loan payment have not done so because of error or because they forgot. It’s been a lack of money, not a lapse in memory," said Doyle Williams, an executive vice president at COUNTRY Financial. There are alternatives to piling on debt to attend college. Students who qualify for scholarships and aid can greatly reduce the out-of-pocket expense associated with a college degree. In addition to federal aid packages, most colleges and universities offer their own aid to students who qualify. Completing the Federal Application for Financial Student Aid (FAFSA) is a key step in taking advantage of both, as many schools use information from a student's FAFSA to allocate their scholarships. A free app called College Abacus can help students determine their out-of-pocket costs for each college they might be considering. The app can provide a more exact number because it takes into account each college's typical aid packages. Using the tool, Seldin said prospective students sometimes find the school of their choice is less expensive than the alternatives they were considering.